This year, I am enjoying the benefits of praying Tarawih (night prayers of Ramadan) behind Mufti Ismail Menk and listening to his powerful Tafseer (explanation of the Quran) afterwards. On the opening night, Mufti Menk brought up an issue which always amazes me, the unique method in which the Qur’an begins. This made me reflect on the opening pages of the Qur’an. Surah Al-Fatiha and the first three pages of Surah Baqarah are an amazing and unique method of starting a book. Perhaps, it is because we recite Surah Fatiha everyday, multiple times, that many of us do not take these verses seriously. Yet, the reason this Surah is emphasized so much is because it is the most important chapter of the Qur’an. It is Faatihatul Kitaab (The opening chapter of the book), Sab’a Mathaani (the seven oft-repeated verses 15:87) and Ummul Kitaab (the essence of the book 13:39). It is the Surah that when recited, Allah replies to each verse. It is the most important du’a that we can make. The second half of Surah Fatiha is the most important du’a a person could ever make, “Guide us to the straight path!” (1:5) The Surah then explains what is the staight path and what is not. The straight path is that which was shown to us and followed by those whom Allah has favoured, which Allah explains in another verse, “whoever obeys Allah and His messenger, then they will be with those whom Allah has favoured from the prophets, truthful, matyrs and righteous.” (4:69) This verse refutes the claim by some people that you can find your own way towards Paradise without following the people of the past. True salvation lies in following the Salaf As-Saliheen (The righteous predecessors) and their understanding and practice of the Qur’an. Allah then shows us two types of misguidance. The first form of misguidance is to earn Allah’s wrath by knowingly rejecting the truth and the other form is to go astray by choosing to remain ignorant. So we need to realize that choosing to remain ignorant can not excuse us for our sins and deviations, and if we knowingly reject the truth, we will be cursed by Allah. The only option left is to seek the truth and ask Allah to guide us to the straight path. Amazingly, the very next Surah begins by answering this du’a for guidance. “This is the book in which there is no doubt! It is a guidance for those who are God-conscious.” (2:2) Three things are interesting about this verse. Firstly, show me one other book which begins by declaring its own perfection. No human author would dare readers from the beginning by making the claim that there is nothing doubtful in his book, this immidiately makes skeptics look for mistakes. The Qur’an, being the perfect word of Allah, begins with this challenge, a unique and powerful starting point. Allah then explains to us that this Qur’an is the answer to our du’a (prayer) for guidance but the condition is that we approach this Qur’an with Taqwa (God-consciousness). This is why not everyone benefits from reciting the Qur’an. Allah warns us on the next page to not be from those who only recite ritually or with an evil intention as “it is the same whether you warn them or not, they will never believe.” (2:6) This verse is aimed primarily to those who choose to reject Islam, but like all verses we need to apply it to ourselves and make sure we do not possess any of the qualities that Allah dislikes. The first three pages of Surah Baqarah describe three types of people in terms of belief and relationship with Allah. Allah goes into detail describing those who have Taqwa and attain success, then briefly mentions those who choose to disbelieve, and finally He mentions in even more detail, the hypocrites. It is for us to study these verses and put into the practice the qualities of the successful while being careful to guard ourselves from possessing the qualities of the disbelievers or hypocrites. After all of this, Allah mentions the first commandment in the Qur’an, the most important commandment and the benefit of obeying it. Allah says, “O mankind, worship your Lord who created you and those before you so that you may attain Taqwa.” (2:21) The first and most important commandment is to uphold Tawheed by worshipping Allah alone as it is through this that we can attain Taqwa and through Taqwa that we can attain guidance from the Qur’an. I ask Allah to grant all of us Imaan (faith), Taqwa and a deeper understanding of the Qur’an. Ameen. 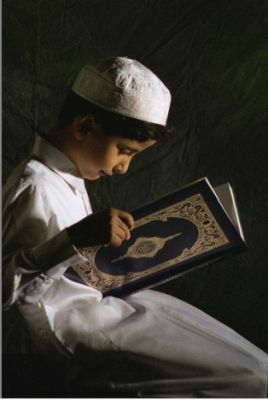 A young Muslim boy reading the Quran. Dr. Gary Miller is a Canadian former Christian theologian and minister who converted to Islam. He now works on spreading and preaching Islam to the world. It must be stressed that the Qur’an is accurate about many, many things, but accuracy does not necessarily mean that a book is a divine revelation. In fact, accuracy is only one of the criteria for divine revelations. For instance, the telephone book is accurate, but that does not mean that it is divinely revealed. The real problem lies in that one must establish some proof of the source the Qur’an’s information. The emphasis is in the other direction, in that the burden of proof is on the reader. One cannot simply deny the Qur’an’s authenticity without sufficient proof. If, indeed, one finds a mistake, then one has the right to disqualify it. This is exactly what the Qur’an encourages. Of course, I said, “Congratulations. That is the most intelligent thing that you have said.” Certainly, this is the approach Muslims need to take with those who doubt the Qur’an’s authenticity, because the Qur’an itself offers the same challenge. And inevitably, after accepting its challenge and discovering that it is true, these people will come to believe it because they could not disqualify it. 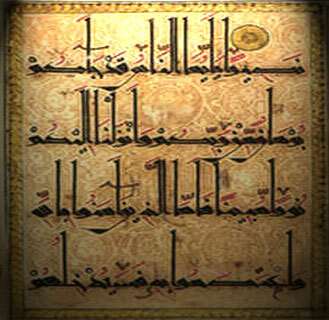 In essence, the Qur’an earns their respect because they themselves have had to verify its authenticity. An essential fact that cannot be reiterated enough concerning the authenticity of the Qur’an is that one’s inability to explain a phenomenon oneself does not require one’s acceptance of the phenomenon’s existence or another person’s explanation of it. Specifically, just because one cannot explain something does not mean that one has to accept someone else’s explanation. However, the person’s refusal of other explanations returns the burden of proof back on himself to find a feasible answer. This general theory applies to numerous concepts in life but fits most wonderfully with the Qur’anic challenge, for it creates a difficulty for one who says, “I do not believe it.” At the onset of refusal one immediately has an obligation to find an explanation oneself if one feels others’ answers are inadequate. In fact, in one particular Qur’anic verse that I have always seen mistranslated into English, Allah mentions a man who heard the truth explained to him. It states that he was derelict in his duty because after he heard the information, he left without checking the verity of what he had heard. In other words, one is guilty if one hears something and does not research it and check to see whether it is true. One is supposed to process all information and decide what is garbage to be thrown out and what is worthwhile information to be kept and benefited from immediately or even at a later date. One cannot just let it rattle around in one’s head. It must be put in the proper categories and approached from that point of view. For example, if the information is still speculative, then one must discern whether it’s closer to being true or false. But if all the facts have been presented, then one must decide absolutely between these two options. And even if one is not positive about the authenticity of the information, one is still required to process all the information and make the admission that one just does not know for sure. Although this last point appears to be futile, in actuality, it is beneficial to the arrival at a positive conclusion at a later time in that it forces the person to at least recognize, research, and review the facts. 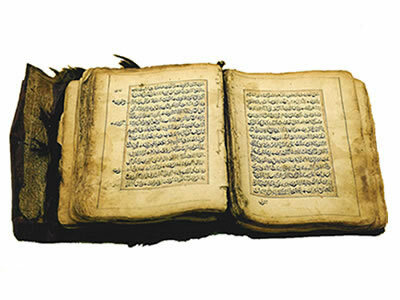 A very old manuscript of the Quran. The real certainty about the truthfulness of the Qur’an is evident in the confidence that is prevalent throughout it, and this confidence comes from a different approach: exhausting the alternatives.” In essence, the Qur’an states, “This book is a divine revelation; if you do not believe that, then what is it?” In other words, the reader is challenged to come up with some other explanation. Here is a book made of paper and ink. Where did it come from? It says it is a divine revelation; if it is not, then what is its source? The interesting fact is that no one has yet come up with an explanation that works. In fact, all alternatives have been exhausted. As has been well established by non-Muslims, these alternatives basically are reduced to two mutually exclusive schools of thought, insisting on one or the other. On one hand, there exists a large group of people who have researched the Qur’an for hundreds of years and who claim, “One thing we know for sure: That man, Muhammad (peace and blessings be upon him), thought he was a prophet. He was crazy!” They are convinced that Muhammad (peace and blessings be upon him) was fooled somehow. Then on the other hand, there is a group that alleges, “Because of this evidence, one thing we know for sure is that that man, Muhammad (peace and blessings be upon him), was a liar!” Ironically, these two groups never seem to get together without contradictions. In fact, many references to Islam usually claim both theories. They start out by stating that Muhammad (peace and blessings be upon him) was crazy and then end by saying he was a liar. They never seem to realize that he could not have been both! For example, if one is deluded and really thinks that he is a prophet, then he does not sit up late at night planning, “How will I fool the people tomorrow so that they think I am a prophet?” He truly believes that he is a prophet, and he trusts that the answer will be given to him by revelation. 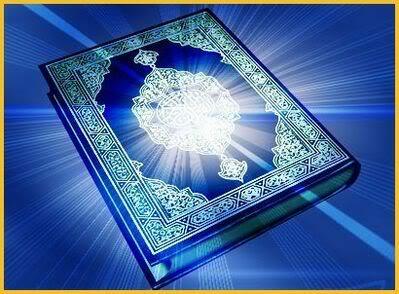 The Quran is a source of guidance and truth. As a matter of fact, a great deal of the Qur’an came in answer to questions. Someone would ask Muhammad (peace and blessings be upon him) a question, and the revelation would come with the answer to it. Certainly, if someone is crazy and believes that an angel put words in his ear, then when someone asks him a question, he thinks that the angel will give him the answer. Because he is crazy, he really thinks that. He does not tell someone to wait a short while and then run to his friends and ask them, “Does anyone know the answer?” This type of behavior is characteristic of someone who does not believe that he is a prophet. What the non-Muslims refuse to accept is that you cannot have it both ways. One can be deluded, or one can be a liar. One can be either one or neither one, but one certainly cannot be both! The emphasis is on the fact that they are unquestionably mutually exclusive personality traits. So in order to explain the fact that you bring him, he changes his position and says, “Well, maybe he was not crazy. Maybe some foreigner brought him the information. So he lied and told people that he was a prophet.” At this point then you have to ask him, “If Muhammad was a liar, then where did he get his confidence? Why did he behave as though he really thought he was a prophet?” Finally backed into a corner, like a cat he quickly lashes out with the first response that comes to his mind. Forgetting that he has already exhausted that possibility, he claims, “Well, maybe he wasn’t a liar. He was probably crazy and really thought that he was a prophet.” And thus he begins the futile cycle again.